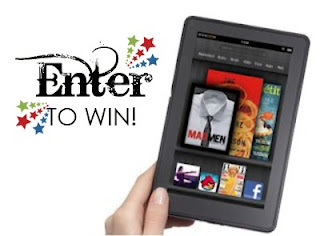 eReader1: Win a Kindle Fire! To mark our 3rd anniversary doing our Kindle Tips & Tricks, and reaching a combined 12,000 members across our pages, I am giving away a Kindle Fire! The contest will run for 3 weeks. To enter, there is only one mandatory entry - to join us on Facebook and then enter the contest. All the other entries are optional and very varied - sharing about the contest, tweeting and so on, and some can be done more than once. Country restrictions are in place. Due to limitations of the Kindle Fire app store & downloads, only US residents can enter to with the Fire. Entries from Canada, UK, Ireland, Australia, New Zealand and Germany are still accepted but the prize will be substituted for a gift card by email (US$199) for use on Amazon.com. No other substitutions. For other rules, see the widget. The entry widget is below, and on the Facebook page eReader1 US. NOTE: ONLY THE FIRST ENTRY IS REQUIRED TO ENTER. ALL THE OTHERS ARE OPTIONAL ENTRIES! If you don't want to do the others you don't have to. Winner will be selected at random using Rafflecopter & will be announced here on August 13th. Rules are listed on the widget above. Want to know more about the prize? See the Kindle Fire on Amazon.